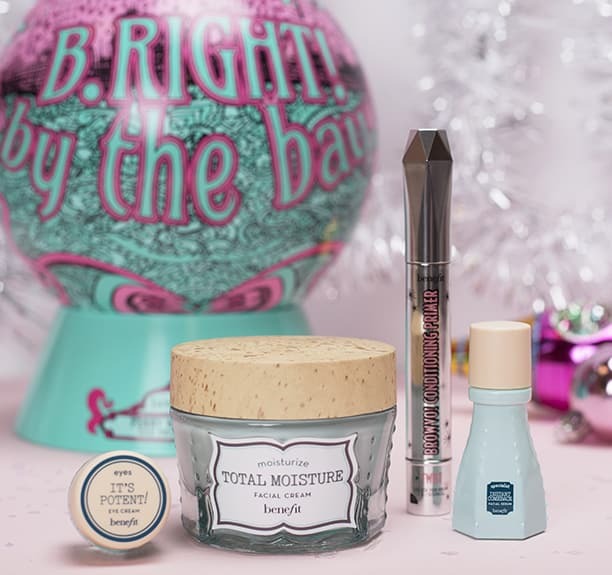 If you´re looking for a perfect gift for her I´m sure that you´ll find it in Benefit. You know how fan of the brand I am, and this year they have the perfect range of giftsets with a special packaging and of course everything at a super price! This year the design it´s all based to the magic of the Christmas time and related to San Francisco theme. All the giftsets contain some of the brand best sellers and at least one full size product, definitely a must for the Christmas´s list! Here you cansee all the range available and some of them from just £14,5! Such a bargain! but hurry up as they are running out of stock! If apart from the giftsets you want to try new products of the brand, I can highly recommended you these 3. Gogo tint for lips and cheecks, and the packaging it´s like a nail lacquer! Hoola Boddess Cream for the body, and FoolProof Brow Powder for the brows of course, it´s one of my favourite as I´m the kind of person who likes natural brows and this is the perfect product for it. I hope you find this post useful and ready on time for your Christmas wish list! © Sin mirar a nadie | All rights reserved.